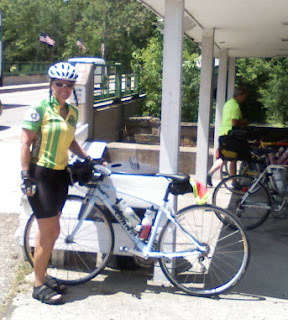 Century Cycles Blog: Deb's Underground Railroad tour reaches Peninsula! Deb's Underground Railroad tour reaches Peninsula! Our friend Deb Milano, who has been riding the Underground Railroad Bicycle Route with a group of women, finally made it to Ohio a few days ago, and stopped by our Peninsula store today. 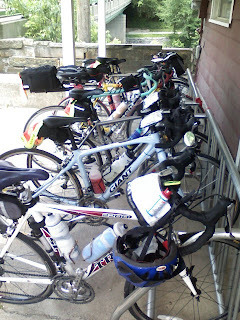 The group had lunch at The Winking Lizard, then headed out to finish their last few miles of the day before spending the night up the road in Streetsboro.